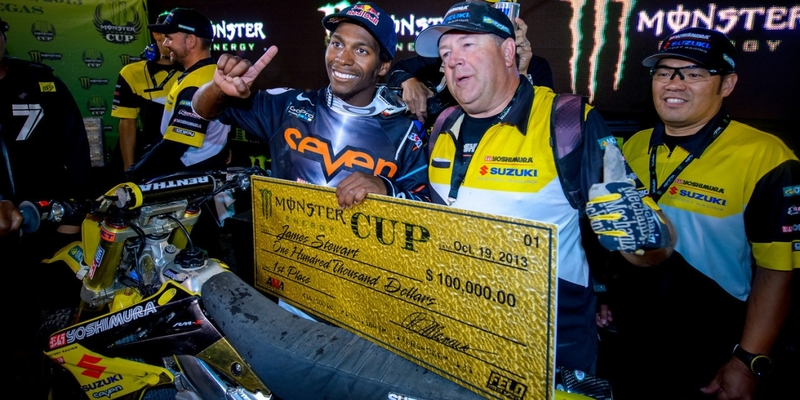 Feld Entertainment announced today that one of the deepest talent pools in Monster Energy Cup history will compete for a $1 million prize at this year's Monster Energy Cup, taking place on October 15 at Sam Boyd Stadium in Las Vegas. The Monster Energy Cup is Supercross' annual All-Star event, but this year's Cup could be billed as a race of champions. The Cup Class will feature the reigning Supercross Champion, Ryan Dungey and the reigning Monster Energy Cup and Pro Motocross Champion, Ken Roczen. 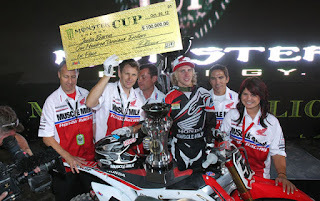 Plus, the current MXGP World Champion, Tim Gajser will also make his debut in a one-night-only battle for the coveted Monster Energy Cup trophy and the shot at winning $1 million. Additionally, fans can expect to see a who's who of Supercross' elite, including Chad Reed, Marvin Musquin, Jason Anderson, Eli Tomac, Justin Barcia, Trey Canard, Cooper Webb and more. 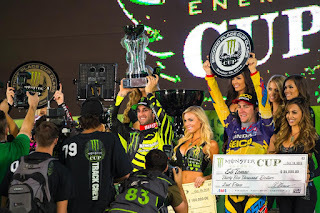 Unlike any other race, the Monster Energy Cup challenges riders in their fight for victory with three 10-Lap Main Events on a custom track designed by 5-time Monster Energy Supercross Champion, Ricky Carmichael. 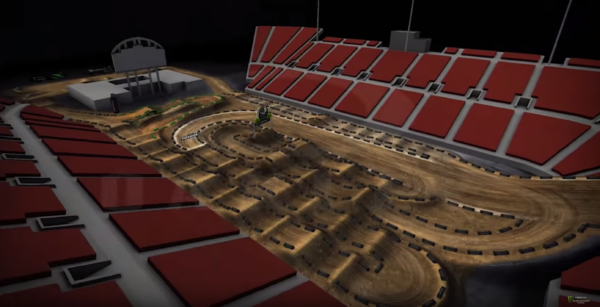 "The 2016 Monster Energy Cup is going to be awesome," said Carmichael, who has helped design every Monster Energy Cup track since its inception in 2011. "The biggest thing is going to be the start. Riders will be taking off from the top of the stadium, going down 165 feet to the floor, then another 150 feet to the first turn. It's going to be unbelievable. The fans are going to love it and that's what makes the Monster Energy Cup so cool. We can do fun and unique things."